"Hammer of the Scots" redirects here. For the board game, see Hammer of the Scots (board game). Edward I (17/18 June 1239 – 7 July 1307), also known as Edward Longshanks and the Hammer of the Scots (Latin: Malleus Scotorum), was King of England from 1272 to 1307. The first son of Henry III, Edward was involved early in the political intrigues of his father's reign, which included an outright rebellion by the English barons. In 1259, he briefly sided with a baronial reform movement, supporting the Provisions of Oxford. After reconciliation with his father, however, he remained loyal throughout the subsequent armed conflict, known as the Second Barons' War. After the Battle of Lewes, Edward was hostage to the rebellious barons, but escaped after a few months and joined the fight against Simon de Montfort. Montfort was defeated at the Battle of Evesham in 1265, and within two years the rebellion was extinguished. With England pacified, Edward joined the Ninth Crusade to the Holy Land. The crusade accomplished little, and Edward was on his way home in 1272 when he was informed that his father had died. 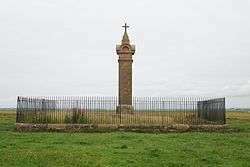 Making a slow return, he reached England in 1274 and was crowned at Westminster on 19 August. He spent much of his reign reforming royal administration and common law. 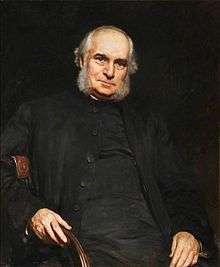 Through an extensive legal inquiry, Edward investigated the tenure of various feudal liberties, while the law was reformed through a series of statutes regulating criminal and property law. Increasingly, however, Edward's attention was drawn towards military affairs. After suppressing a minor rebellion in Wales in 1276–77, Edward responded to a second rebellion in 1282–83 with a full-scale war of conquest. 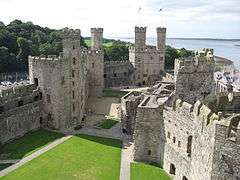 After a successful campaign, Edward subjected Wales to English rule, built a series of castles and towns in the countryside and settled them with English people. Next, his efforts were directed towards Scotland. Initially invited to arbitrate a succession dispute, Edward claimed feudal suzerainty over the kingdom. In the war that followed, the Scots persevered, even though the English seemed victorious at several points. At the same time there were problems at home. In the mid-1290s, extensive military campaigns required high levels of taxation, and Edward met with both lay and ecclesiastical opposition. These crises were initially averted, but issues remained unsettled. When the King died in 1307, he left to his son, Edward II, an ongoing war with Scotland and many financial and political problems. Edward I was a tall man for his era, hence the nickname "Longshanks". He was temperamental, and this, along with his height, made him an intimidating man, and he often instilled fear in his contemporaries. Nevertheless, he held the respect of his subjects for the way he embodied the medieval ideal of kingship, as a soldier, an administrator and a man of faith. Modern historians are divided on their assessment of Edward I: while some have praised him for his contribution to the law and administration, others have criticised him for his uncompromising attitude towards his nobility. 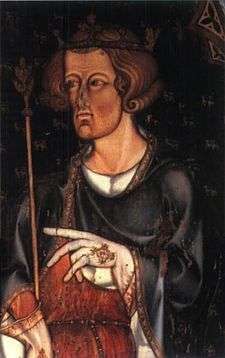 Currently, Edward I is credited with many accomplishments during his reign, including restoring royal authority after the reign of Henry III, establishing Parliament as a permanent institution and thereby also a functional system for raising taxes, and reforming the law through statutes. At the same time, he is also often criticised for other actions, such as his brutal conduct towards the Scots, and issuing the Edict of Expulsion in 1290, by which the Jews were expelled from England. The Edict remained in effect for the rest of the Middle Ages, and it was over 350 years until it was formally overturned under Oliver Cromwell in 1656. 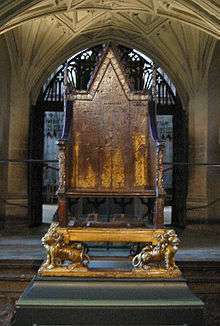 Edward was born at the Palace of Westminster on the night of 17–18 June 1239, to King Henry III and Eleanor of Provence. [lower-alpha 1] Edward is an Anglo-Saxon name, as was not commonly given among the aristocracy of England after the Norman Conquest, but Henry was devoted to the veneration of Edward the Confessor, and decided to name his firstborn son after the saint. [lower-alpha 2] Among his childhood friends was his cousin Henry of Almain, son of King Henry's brother Richard of Cornwall. Henry of Almain would remain a close companion of the prince, both through the civil war that followed, and later during the crusade. Edward was in the care of Hugh Giffard – father of the future Chancellor Godfrey Giffard – until Bartholomew Pecche took over at Giffard's death in 1246. In 1254, English fears of a Castilian invasion of the English province of Gascony induced Edward's father to arrange a politically expedient marriage between his fourteen-year-old son and thirteen-year-old Eleanor, the half-sister of King Alfonso X of Castile. Eleanor and Edward were married on 1 November 1254 in the Abbey of Santa María la Real de Las Huelgas in Castile. As part of the marriage agreement, the young prince received grants of land worth 15,000 marks a year. Although the endowments King Henry made were sizeable, they offered Edward little independence. He had already received Gascony as early as 1249, but Simon de Montfort, 6th Earl of Leicester, had been appointed as royal lieutenant the year before and, consequently, drew its income, so in practice Edward derived neither authority nor revenue from this province. 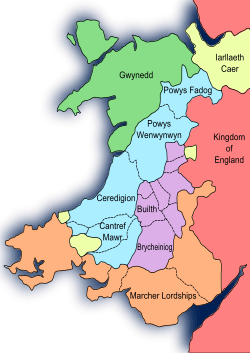 The grant he received in 1254 included most of Ireland, and much land in Wales and England, including the earldom of Chester, but the King retained much control over the land in question, particularly in Ireland, so Edward's power was limited there as well, and the King derived most of the income from those lands. From 1254 to 1257, Edward was under the influence of his mother's relatives, known as the Savoyards, the most notable of whom was Peter of Savoy, the queen's uncle. After 1257, Edward increasingly fell in with the Poitevin or Lusignan faction – the half-brothers of his father Henry III – led by such men as William de Valence. [lower-alpha 3] This association was significant, because the two groups of privileged foreigners were resented by the established English aristocracy, and they would be at the centre of the ensuing years' baronial reform movement. There were tales of unruly and violent conduct by Edward and his Lusignan kinsmen, which raised questions about the royal heir's personal qualities. The next years would be formative on Edward's character. 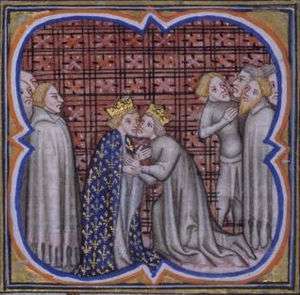 Edward had shown independence in political matters as early as 1255, when he sided with the Soler family in Gascony, in the ongoing conflict between the Soler and Colomb families. This ran contrary to his father's policy of mediation between the local factions. In May 1258, a group of magnates drew up a document for reform of the King’s government – the so-called Provisions of Oxford – largely directed against the Lusignans. Edward stood by his political allies and strongly opposed the Provisions. The reform movement succeeded in limiting the Lusignan influence, however, and gradually Edward's attitude started to change. In March 1259, he entered into a formal alliance with one of the main reformers, Richard de Clare, Earl of Gloucester. Then, on 15 October 1259, he announced that he supported the barons' goals, and their leader, Simon de Montfort. The years 1264–1267 saw the conflict known as the Second Barons' War, in which baronial forces led by Simon de Montfort fought against those who remained loyal to the King. The first scene of battle was the city of Gloucester, which Edward managed to retake from the enemy. When Robert de Ferrers, Earl of Derby, came to the assistance of the rebels, Edward negotiated a truce with the earl, the terms of which he later broke. Edward then captured Northampton from Montfort's son Simon, before embarking on a retaliatory campaign against Derby's lands. The baronial and royalist forces finally met at the Battle of Lewes, on 14 May 1264. Edward, commanding the right wing, performed well, and soon defeated the London contingent of Montfort's forces. Unwisely, however, he followed the scattered enemy in pursuit, and on his return found the rest of the royal army defeated. 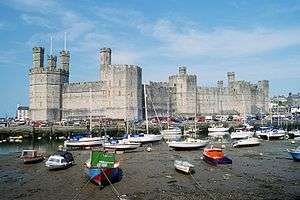 By the agreement known as the Mise of Lewes, Edward and his cousin Henry of Almain were given up as hostages to Montfort. Through such episodes as the deception of Derby at Gloucester, Edward acquired a reputation as untrustworthy. During the summer campaign, though, he began to learn from his mistakes, and acted in a way that gained the respect and admiration of his contemporaries. The war did not end with Montfort's death, and Edward participated in the continued campaigning. At Christmas, he came to terms with the younger Simon de Montfort and his associates at the Isle of Axholme in Lincolnshire, and in March he led a successful assault on the Cinque Ports. A contingent of rebels held out in the virtually impregnable Kenilworth Castle and did not surrender until the drafting of the conciliatory Dictum of Kenilworth. [lower-alpha 5] In April it seemed as if Gloucester would take up the cause of the reform movement, and civil war would resume, but after a renegotiation of the terms of the Dictum of Kenilworth, the parties came to an agreement. [lower-alpha 6] Edward, however, was little involved in the settlement negotiations following the wars; at this point his main focus was on planning his forthcoming crusade. Edward took the crusader's cross in an elaborate ceremony on 24 June 1268, with his brother Edmund and cousin Henry of Almain. Among others who committed themselves to the Ninth Crusade were Edward's former adversaries – like the Earl of Gloucester, though de Clare did not ultimately participate. With the country pacified, the greatest impediment to the project was providing sufficient finances. King Louis IX of France, who was the leader of the crusade, provided a loan of about £17,500. This, however, was not enough; the rest had to be raised through a tax on the laity, which had not been levied since 1237. In May 1270, Parliament granted a tax of a twentieth,[lower-alpha 7] in exchange for which the King agreed to reconfirm Magna Carta, and to impose restrictions on Jewish money lending. On 20 August Edward sailed from Dover for France. Historians have not determined the size of the force with any certainty, but Edward probably brought with him around 225 knights and altogether less than 1000 men. It was not until 24 September that Edward left Acre. Arriving in Sicily, he was met with the news that his father had died on 16 November, 1272. Edward was deeply saddened by this news, but rather than hurrying home at once, he made a leisurely journey northwards. This was partly due to his health still being poor, but also due to a lack of urgency. The political situation in England was stable after the mid-century upheavals, and Edward was proclaimed king at his father's death, rather than at his own coronation, as had until then been customary. [lower-alpha 9] In Edward's absence, the country was governed by a royal council, led by Robert Burnell. The new king embarked on an overland journey through Italy and France, where among other things he visited Pope Gregory X[lower-alpha 10] in Rome, King Philip III in Paris, and suppressed a rebellion in Gascony. Only on 2 August 1274 did he return to England, and was crowned on 19 August. In November 1276, war was declared. Initial operations were launched under the captaincy of Mortimer, Lancaster (Edward's brother Edmund) and William de Beauchamp, Earl of Warwick. [lower-alpha 11] Support for Llywelyn was weak among his own countrymen. 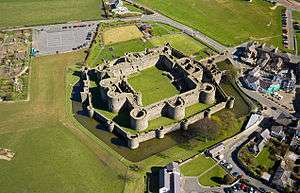 In July 1277 Edward invaded with a force of 15,500, of whom 9,000 were Welshmen. The campaign never came to a major battle, and Llywelyn soon realised he had no choice but to surrender. 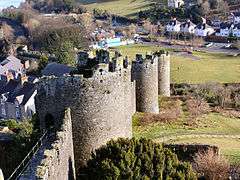 By the Treaty of Aberconwy in November 1277, he was left only with the land of Gwynedd, though he was allowed to retain the title of Prince of Wales. The Hundred Rolls formed the basis for the later legal inquiries called the Quo warranto proceedings. The purpose of these inquiries was to establish by what warrant (Latin: Quo warranto) various liberties were held. [lower-alpha 17] If the defendant could not produce a royal licence to prove the grant of the liberty, then it was the crown's opinion – based on the writings of the influential thirteenth-century legal scholar Bracton – that the liberty should revert to the king. The incessant warfare of the 1290s put a great financial demand on Edward's subjects. Whereas the King had only levied three lay subsidies until 1294, four such taxes were granted in the years 1294–97, raising over £200,000. Along with this came the burden of prises (appropriation of food), seizure of wool and hides, and the unpopular additional duty on wool, dubbed the maltolt. The fiscal demands on the King's subjects caused resentment, and this resentment eventually led to serious political opposition. The initial resistance was not caused by the lay taxes, however, but by clerical subsidies. 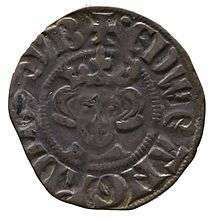 In 1294, Edward made a demand of a grant of one half of all clerical revenues. There was some resistance, but the King responded by threatening with outlawry, and the grant was eventually made. At the time, the archbishopric of Canterbury was vacant, since Robert Winchelsey was in Italy to receive consecration. [lower-alpha 19] Winchelsey returned in January 1295 and had to consent to another grant in November of that year. In 1296, however, his position changed when he received the papal bull Clericis laicos. This bull prohibited the clergy from paying taxes to lay authorities without explicit consent from the Pope. When the clergy, with reference to the bull, refused to pay, Edward responded with outlawry. Winchelsey was presented with a dilemma between loyalty to the King and upholding the papal bull, and he responded by leaving it to every individual clergyman to pay as he saw fit. By the end of the year, a solution was offered by the new papal bull Etsi de statu, which allowed clerical taxation in cases of pressing urgency. Edward's problems with the opposition did not end with the Falkirk campaign. Over the following years he would be held up to the promises he had made, in particular that of upholding the Charter of the Forest. [lower-alpha 20] In the parliament of 1301, the King was forced to order an assessment of the royal forests, but in 1305 he obtained a papal bull that freed him from this concession. Ultimately, it was a failure in personnel that spelt the end of the opposition against Edward I. Bohun died late in 1298, after returning from the Falkirk campaign. As for Bigod, in 1302 he arrived at an agreement with the King that was beneficial for both: Bigod, who had no children, made Edward his heir, in return for a generous annual grant. Edward finally got his revenge on Winchelsey in 1305, when Clement V was elected pope. Clement was a Gascon sympathetic to the King, and on Edward's instigation had Winchelsey suspended from office. The defeated Scots, secretly urged on by the French, appealed to the pope to assert a claim of overlordship to Scotland in place of the English. His papal bull addressed to King Edward in these terms was firmly rejected on Edward's behalf by the Barons' Letter of 1301. The English managed to subdue the country by other means, however. In 1303, a peace agreement was reached between England and France, effectively breaking up the Franco-Scottish alliance. Robert the Bruce, the grandson of the claimant to the crown in 1291, had sided with the English in the winter of 1301–02. By 1304, most of the other nobles of the country had also pledged their allegiance to Edward, and this year the English also managed to re-take Stirling Castle. A great propaganda victory was achieved in 1305 when Wallace was betrayed by Sir John de Menteith and turned over to the English, who had him taken to London where he was publicly executed. With Scotland largely under English control, Edward installed Englishmen and collaborating Scots to govern the country. Edward responded with severe brutality against Bruce's allies and supporters. Bruce's sister, Mary, was hung in a cage outside of Roxburgh for four years. Isabella MacDuff, Countess of Buchan, who had crowned Bruce, was hung in a cage outside of Berwick Castle for four years. Bruce's younger brother Neil was executed by being hanged, drawn, and quartered; he had been captured after he and his garrison held off Edward's forces who had been seeking Bruce's wife (Elizabeth), daughter Marjorie, sisters Mary and Christina, and Isabella. Various stories emerged about Edward’s deathbed wishes; according to one tradition, he requested that his heart be carried to the Holy Land, along with an army to fight the infidels. A more dubious story tells of how he wished for his bones to be carried along on future expeditions against the Scots. Another account of his deathbed scene is more credible; according to one chronicle, Edward gathered around him the Earls of Lincoln and Warwick, Aymer de Valence, and Robert Clifford, and charged them with looking after his son Edward. In particular they should make sure that Piers Gaveston was not allowed to return to the country. This wish, however, the son ignored, and had his favourite recalled from exile almost immediately. The new king, Edward II, remained in the north until August, but then abandoned the campaign and headed south. He was crowned king on 25 February 1308. Edward I's body was brought south, lying in state at Waltham Abbey, before being buried in Westminster Abbey on 27 October. There are few records of the funeral, which cost £473. Edward's tomb was an unusually plain sarcophagus of Purbeck marble, without the customary royal effigy, possibly the result of the shortage of royal funds after the King's death. The sarcophagus may normally have been covered over with rich cloth, and originally might have been surrounded by carved busts and a devotional religious image, all since lost. The Society of Antiquaries opened the tomb in 1774, finding that the body had been well preserved over the preceding 467 years, and took the opportunity to determine the King's original height. [lower-alpha 21] Traces of the Latin inscription Edwardus Primus Scottorum Malleus hic est, 1308. Pactum Serva ("Here is Edward I, Hammer of the Scots, 1308. Keep the Vow"), which can still be seen painted on the side of the tomb, referring to his vow to avenge the rebellion of Robert Bruce. This resulted in Edward being given the epithet the "Hammer of the Scots" by historians, but is not contemporary in origin, having been added by the Abbot John Feckenham in the 16th century. The first histories of Edward in the 16th and 17th centuries drew primarily on the works of the chroniclers, and made little use of the official records of the period. They limited themselves to general comments on Edward's significance as a monarch, and echoed the chroniclers' praise for his accomplishments. During the 17th century, the lawyer Edward Coke wrote extensively about Edward's legislation, terming the King the "English Justinian", after the renowned Byzantine law-maker, Justinian I. Later in the century, historians used the available record evidence to address the role of parliament and kingship under Edward, drawing comparisons between his reign and the political strife of their own century. 18th-century historians established a picture of Edward as an able, if ruthless, monarch, conditioned by the circumstances of his own time. Historians in the 20th and 21st century have conducted extensive research on Edward and his reign. Most have concluded this was a highly significant period in English medieval history, some going further and describing Edward as one of the great medieval kings, although most also agree that his final years were less successful than his early decades in power. [lower-alpha 22] Three major academic narratives of Edward have been produced during this period. Frederick Powicke's volumes, published in 1947 and 1953, forming the standard works on Edward for several decades, and were largely positive in praising the achievements of his reign, and in particular his focus on justice and the law. In 1988, Michael Prestwich produced an authoritative biography of the King, focusing on his political career, still portraying him in sympathetic terms, but highlighting some of the consequences of his failed policies. Marc Morris's biography followed in 2008, drawing out more of the detail of Edward's personality, and generally taking a harsher view of the King's weaknesses and less pleasant characteristics. Considerable academic debate has taken place around the character of Edward's kingship, his political skills, and in particular his management of his earls, and the degree to which this was collaborative or repressive in nature. There is also a great difference between English and Scottish historiography on King Edward. G. W. S. Barrow, in his biography on Robert the Bruce, accused Edward of ruthlessly exploiting the leaderless state of Scotland to obtain a feudal superiority over the kingdom. This view of Edward is reflected in the popular perception of the King, as can be seen in the 1995 movie Braveheart's portrayal of the King as a hard-hearted tyrant. 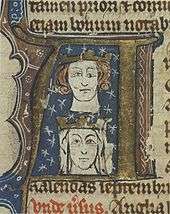 King Edward II (25 April 1284 – 21 September 1327), eldest surviving son and heir, succeeded his father as king of England. In 1308 he married Isabella of France, with whom he had four children. ↑ As the sources give the time simply as the night between the 17 and 18 June, we can not know the exact date of Edward's birth. ↑ Regnal numbers were not commonly used in Edward's time; as the first post-Conquest king to carry that name, he was referred to simply as "King Edward" or "King Edward, son of King Henry". It was only after the succession of first his son and then his grandson—both of whom bore the same name—that "Edward I" came into common usage. ↑ Henry III's mother Isabella of Angoulême married Hugh X of Lusignan after the death of King John. ↑ This was Gilbert de Clare, son of the aforementioned Richard de Clare. ↑ The Dictum restored land to the disinherited rebels, in exchange for a fine decided by their level of involvement in the wars. ↑ The essential concession was that the disinherited would now be allowed to take possession of their lands before paying the fines. ↑ The anecdote of Queen Eleanor saving Edward's life by sucking the poison out of his wound is almost certainly a later fabrication. Other accounts of the scene have Eleanor being led away weeping by John de Vescy, and suggest that it was another of Edward's close friends, Otto de Grandson, who attempted to sucking the poison from the wound. ↑ Though no written proof exists, it is assumed that this arrangement was agreed on before Edward's departure. ↑ As Teobaldo Visconti, Archdeacon of Liège, Gregory X had accompanied Edward on the Ninth Crusade. He had become a friend of Prince Edward when he was in England with the Papal Legate, Cardinal Ottobono Fieschi, from 1265 to 1268. ↑ Lancaster's post was held by Payne de Chaworth until April. ↑ This title became the traditional title of the heir apparent to the English throne. Prince Edward was not born heir apparent, but became so when his older brother Alphonso died in 1284. ↑ Prestwich estimates the total cost to be around £400,000. ↑ The term is an 18th-century invention. ↑ Even though the principle of primogeniture did not necessarily apply to descent through female heirs, there is little doubt that Balliol's claim was the strongest one. ↑ The few surviving documents from the Hundred Rolls show the vast scope of the project. They are dealt with extensively in: Helen Cam (1963). The Hundred and the Hundred Rolls: An Outline of Local Government in Medieval England (New ed.). London: Merlin Press. .
↑ Among those singled out in particular by the royal justices was the earl of Gloucester, who was seen to have encroached ruthlessly on royal rights over the preceding years. ↑ The term was first introduced by William Stubbs. ↑ Winchelsey's consecration was held up by the protracted papal election of 1292–94. ↑ A full text of the charter, with additional information, can be found at: Jones, Graham. "The Charter of the Forest of King Henry III". St John's College, Oxford. Retrieved 17 July 2009. .
↑ The original report can be found in Ayloffe, J. (1786). "An Account of the Body of King Edward the First, as it appeared on opening his Tomb in the year 1774". Archaeologia. iii: 386, 398–412. .
↑ G. Templeman argued in his 1950 historiographical essay that "it is generally recognized that Edward I deserves a high place in the history of medieval England". More recently, Michael Prestwich argues that "Edward was a formidable king; his reign, with both its successes and its disappointments, a great one," and he was "without doubt one of the greatest rulers of his time", while John Gillingham suggests that "no king of England had a greater impact on the peoples of Britain than Edward I" and that "modern historians of the English state... have always recognized Edward I’s reign as pivotal." Fred Cazel similarly comments that "no-one can doubt the greatness of the reign". 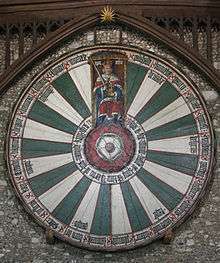 Most recently, Andrew Spencer has agreed with Prestwich, arguing that Edward's reign "was indeed... a great one", and Caroline Burt states that "Edward I was without a doubt one of the greatest kings to rule England"
1 2 Carpenter, David (2007). "King Henry III and Saint Edward the Confessor: the origins of the cult". English Historical Review. cxxii (498): 865–91. doi:10.1093/ehr/cem214. ↑ Carpenter, David (1985). "The Lord Edward's oath to aid and counsel Simon de Montfort, 15 October 1259". Bulletin of the Institute of Historical Research. 58: 226–37. doi:10.1111/j.1468-2281.1985.tb01170.x. ↑ Brand, Paul (2003). Kings, Barons and Justices: The Making and Enforcement of Legislation in Thirteenth-Century England. Cambridge: Cambridge University Press. ISBN 0-521-37246-1. ↑ Harriss 1975, p. 61. ↑ Education Scotland, "Elizabeth de Burgh and Marjorie Bruce", Education Scotland (a Scottish government agency, "the national body in Scotland for supporting quality and improvement in learning and teaching"). Retrieved July 11, 2015. ↑ Tunzelmann, Alex von (31 July 2008). "Braveheart: dancing peasants, gleaming teeth and a cameo from Fabio". The Guardian. UK. Retrieved 3 August 2009. ↑ The information on Edward's children with Eleanor is based on Parsons, John Carmi (1984). "The Year of Eleanor of Castile's Birth and her Children by Edward I". Medieval Studies. XLVI: 245–65. Maddicott, John (1989). "The Crusade Taxation of 1268–70 and the Development of Parliament". In P. R. Coss; S. D. Lloyd (eds.). Thirteenth Century England. 2. Woodbridge, UK: Boydell Press. pp. 93–117. ISBN 0-85115-513-8. Wikimedia Commons has media related to Edward I of England.